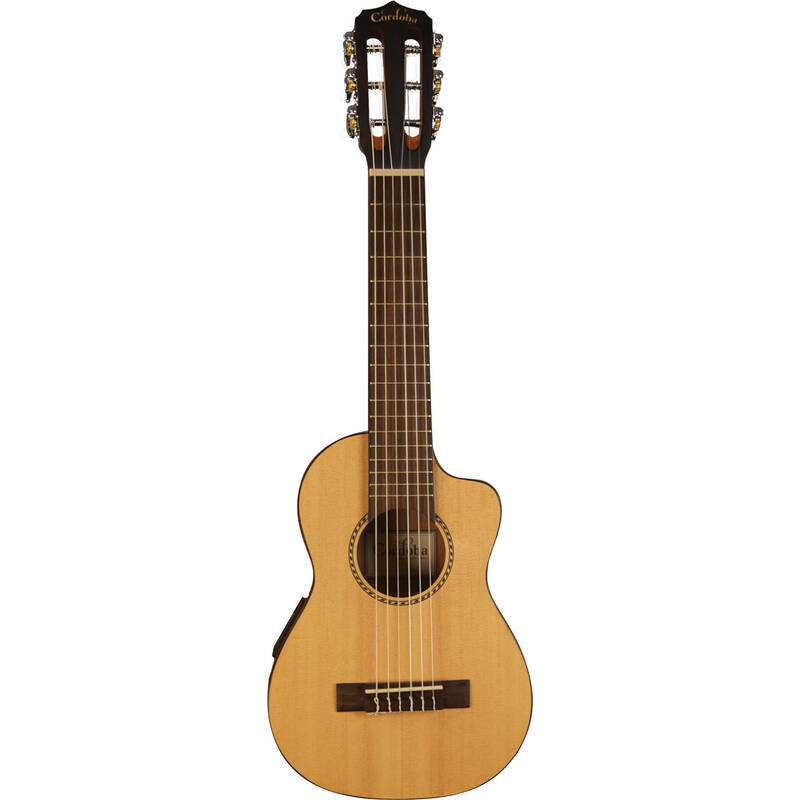 The Guilele CE from Cordoba is a travel-sized, nylon-string/electric hybrid instrument, one that provides the timbre of the ukulele with the playability and tuning relationship of a guitar. Styled in a natural, satin matte finish, the instrument sports a guitaristic body with a spruce top and mahogany back and sides. Its neck, measuring 17.125" in scale, is fashioned out of mahogany, while its fingerboard and bridge are rosewood. Aesthetic touches like black ABS binding abound. For electronics, this instrument includes a Cordoba 2Band preamp system and a piezo undersaddle pickup. The Guilele CE is factory tuned a fourth up from standard pitch. Box Dimensions (LxWxH) 28.9 x 11.0 x 4.2"